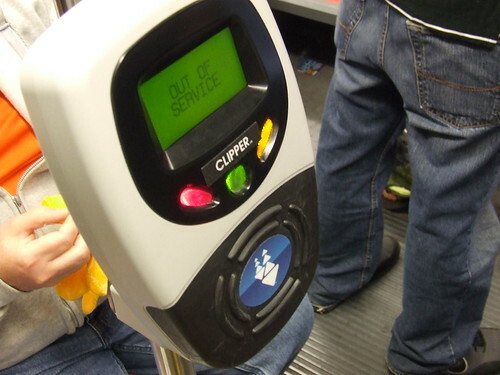 I would believe by now, Clipper should have resolved the card reader meltdowns on buses and trains (especially Muni), but it seems it hasn't been resolved. If you don't know what I'm talking about, click here for my first story posted on October 13, 2010. Fortunately, a Clipper representative wrote a comment on my blog explaining why the readers are beeping like hell (more than one RFID card was read at once) and said it should be resolved in November with a software update. Um... OK, it's now December and where's this software update? On Sunday, I boarded a M-Ocean View train going inbound and had to get off at the next stop because the beeping was was totally annoying. Luckily for me, a K-Ingleside train was right behind. There are also a few people who are complaining on Twitter about it too: Tweet #1 and tweet #2. 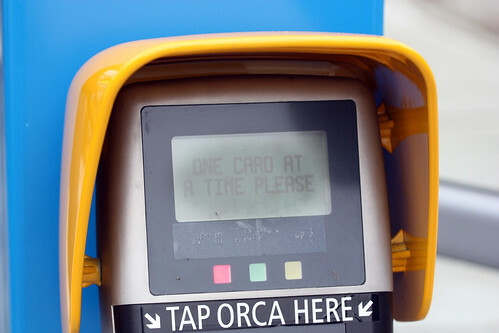 A broken card reader means lost revenue for Muni, puts passengers at risk of receiving a "fare evasion" citation from fare inspectors, and also means a free ride too. The reader on my inbound N melted down this morning, after someone held their wallet up to the reader. I called the driver 3x w/the red button, asking for help, to no avail. It was awful.